We get asked a lot about vegetarian keto recipes, so we decided to create this roundup of recipes to get you started. 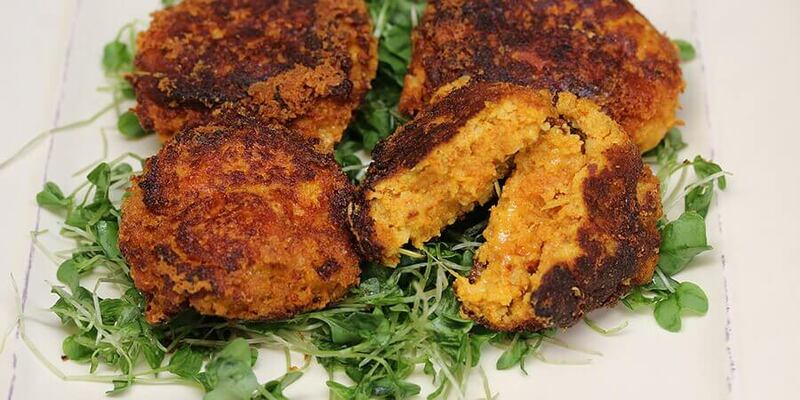 These recipes are all meatless, but do make use of eggs and dairy products. I tried to create a good mix of recipes so there are some that could serve as mains, some sides, and some breakfast and dessert options. So without further ado, here are 25 vegetarian keto recipes that we think you should try. Being keto doesn’t have to be hard for all you vegetarians out there! Whether you have been doing keto for a while now, or have just made the switch, it can seem like every recipe you come across is meat heavy and low on the veggies. 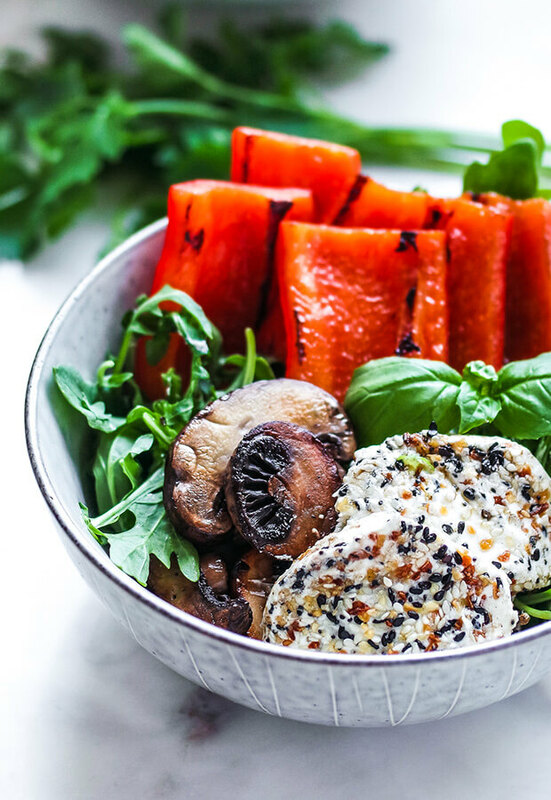 If you have been used to eating a diet that was primarily fruits and vegetables it can certainly leave you feeling like you are missing out and maybe even craving some of that fresh and crunchy texture. My solution? 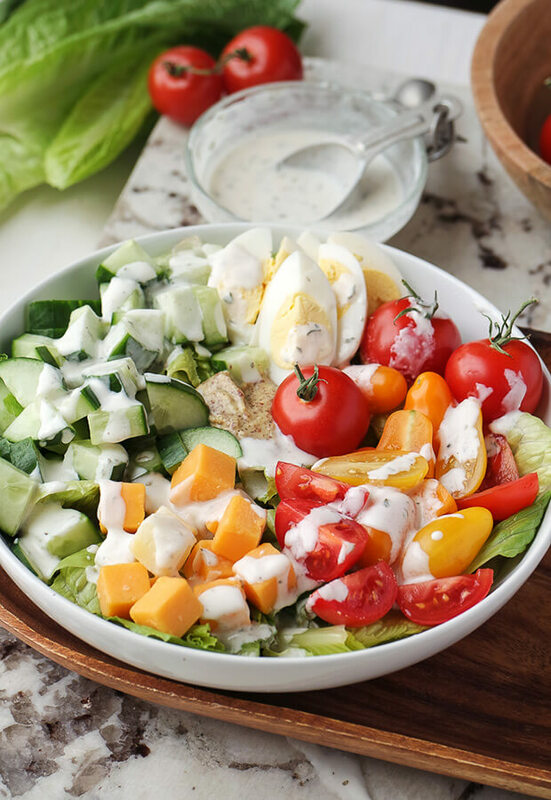 The simple but oh so filling keto club salad! An absolutely delicious and fresh pizza. 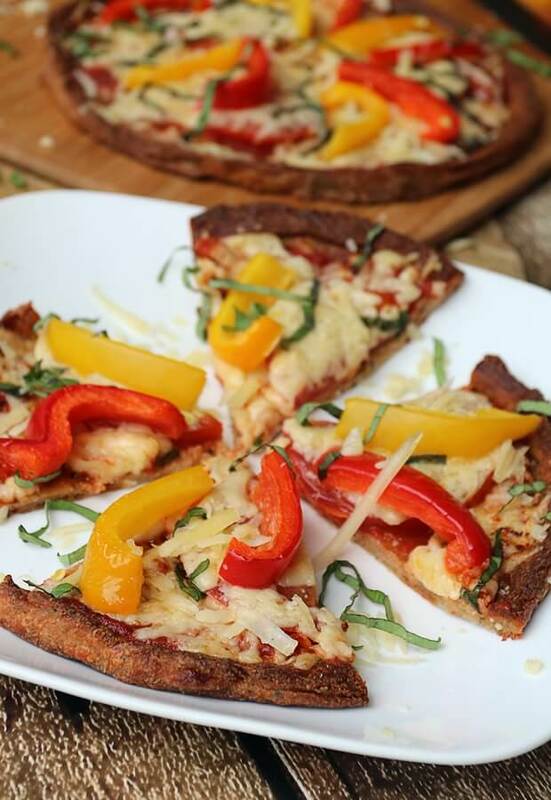 Topped with red and yellow bell pepper that brings a fantastic crunch, sweetness, and fresh aspect to every single bite. On top of that,there’s freshly chopped basil which brings everything together with a hint of summer that I’m sure you’ll love. Use this as a base for other pizza flavors, like mushroom! They’re a great way to start your day and keep you full until lunch time. If you don’t have slivered almonds, some crushed walnuts or pecans mixed into the batter will give you some authentic brownie flavor as well! 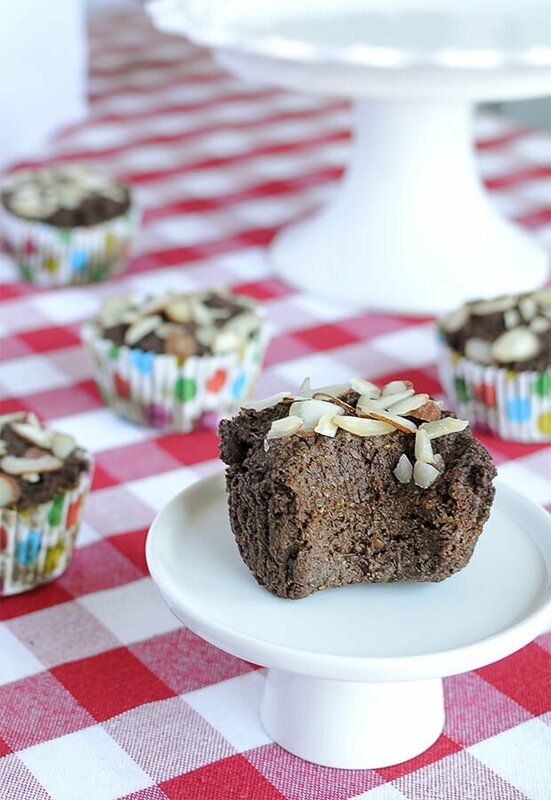 If you’re tired of muffins that turn into rocks or dry out after a few hours, then definitely give these a try. With this salad you get a rich and flavorful little cubes that have crunchy outsides. It’s almost like adding meaty croutons. The tofu is baked with sesame oil, garlic, and lemon. The bok choy salad is dressed with sambal olek, lime, and a touch of peanut butter. This dish is the perfect main meal staple. 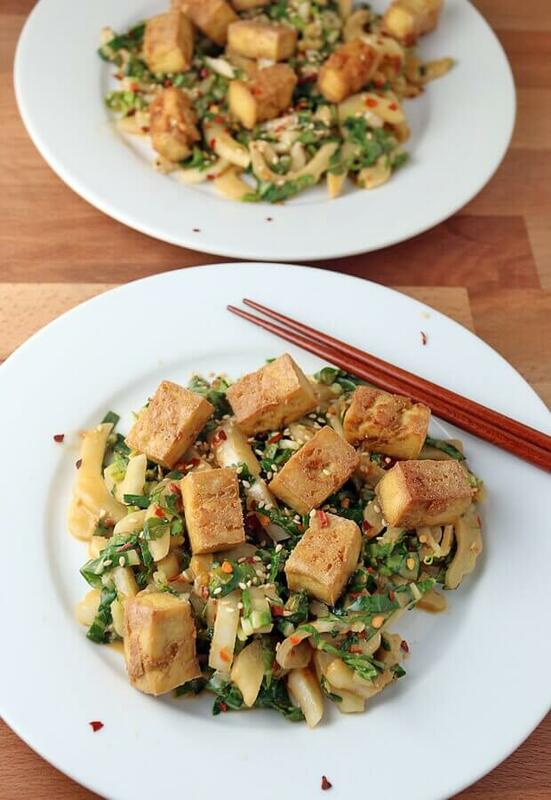 This sesame tofu and eggplant recipe makes a wonderful light lunch, and is surprisingly vegan. The eggplant is julienned then tossed with a spicy Asian style marinade before it’s cooked down into soft noodles. 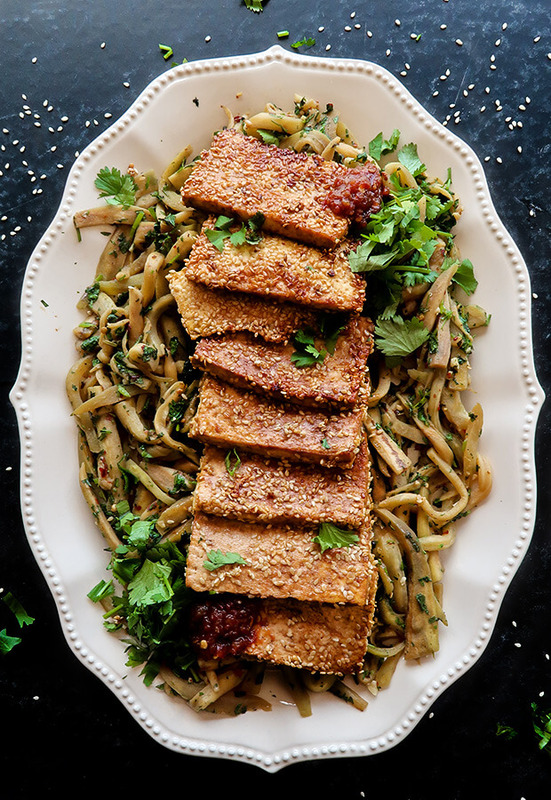 The tofu slices are crusted with sesame seeds then pan seared and caramelized with soy sauce. 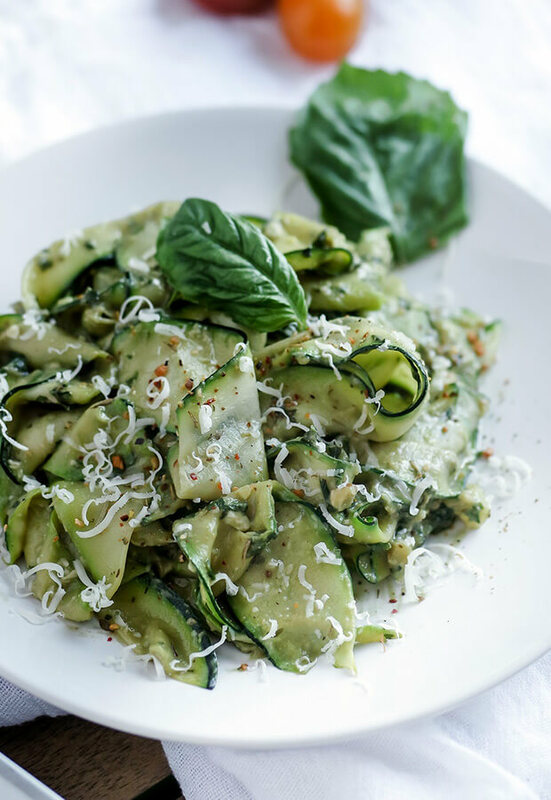 Zucchini noodles have been the holy grail of ketogenic dinner solutions for years and thankfully they have continued to get more delicious, not to mention more convenient. Unfortunately, making “zoodles” often takes a fancy zucchini noodle making contraption that you may or may not be able to get your hands on. Solution? Zucchini ribbons! Tie that together with this genius avocado walnut pesto and you’ve got an amazing dish!